Much of Arkady Rossovich’s past is still really a mystery as now definitive origin has ever been created for him. His natural mutant power is that he secretes a deadly pheromone that can become potent enough kill anyone in range, usually referred to as death spores. His origins begin with him as a serial killer, born in Russia. It took then Interpol agent Sean Cassidy, Banshee, to apprehend him and bring him to justice. Justice turned out being given to the KGB who experimented on him to create their own super soldier. They augmented him by giving him super strength, along with implanting carbonadium tentacles in his arms, carbonadium being an attempt at artificially creating adamantium. Just as with Wolverine, the metal slowly poisons him, but which unlike Wolverine, he does not have a healing factor. To counteract it he can drain the life force from his victims to temporarily stop the poisoning from killing him. 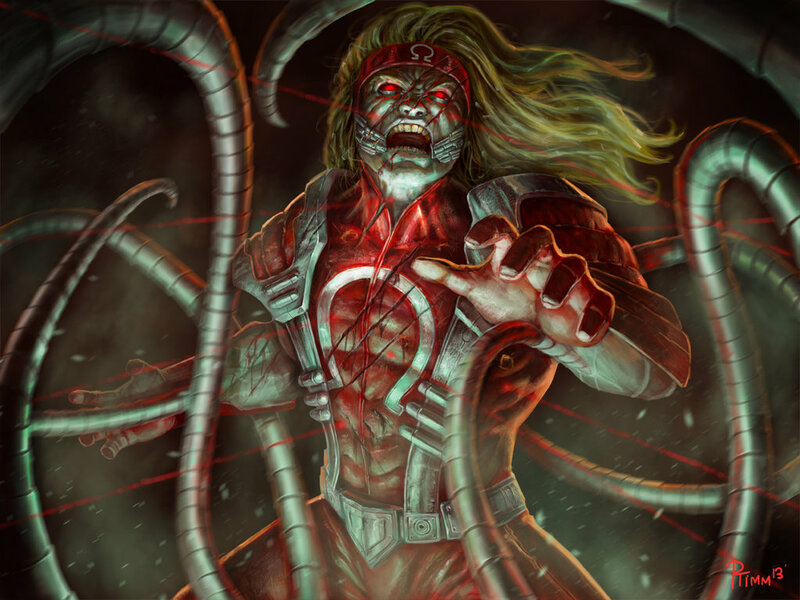 A device was created to control Omega Red’s powers and stop the carbonadium poisoning called the Carbonadium Synthesizer. 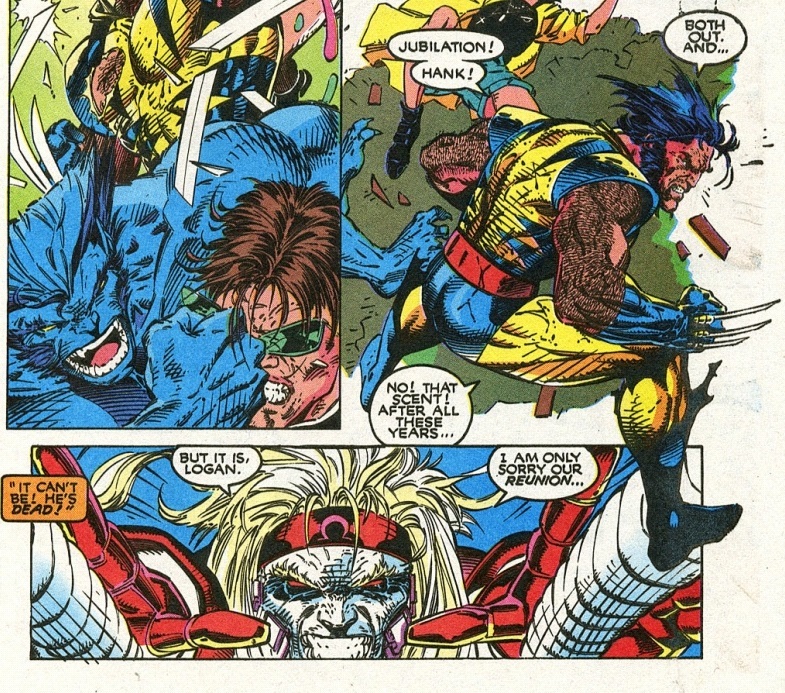 During the experimentation, Team X consisting of Wolverine, Maverick, and Sabertooth broke into the lab to stop the experiments and rescue a double agent in the lab, Janice Hollenbeck. During the mission, the team took the Carbon Synthesizer, the one thing the KGB thought would help them control Omega Red. Subsequently, he was placed in suspended animation until it could be found. Which this now brings us to his first appearance in X-Men #4. The Hand, led by Matsu’o Tsurayaba, finds him in suspended animation and revive him. He allies himself with this after Tsurayaba tells him he knows where Wolverine is, and hence the Carbonadium Synthesizer potentially. Gambit and Rogue are set to go out on a date which Wolverine, Jubilee, and Beast insist on chaperoning. With Rogue on his motorcycle, Gambit speeds away not wanting the additional company. A ways down the road, the Hand lay a trap and, destroying the motorcycle as the two are entrapped each by a tentacle. Their three teammates catch up in a van behind them and are ambushed by the Hand as well, causing the van to spiral out of control and crash. The three escape unharmed and begin battling the Hand. Jubilee and Beast slowly starting becoming sick until they are rendered unconscious. 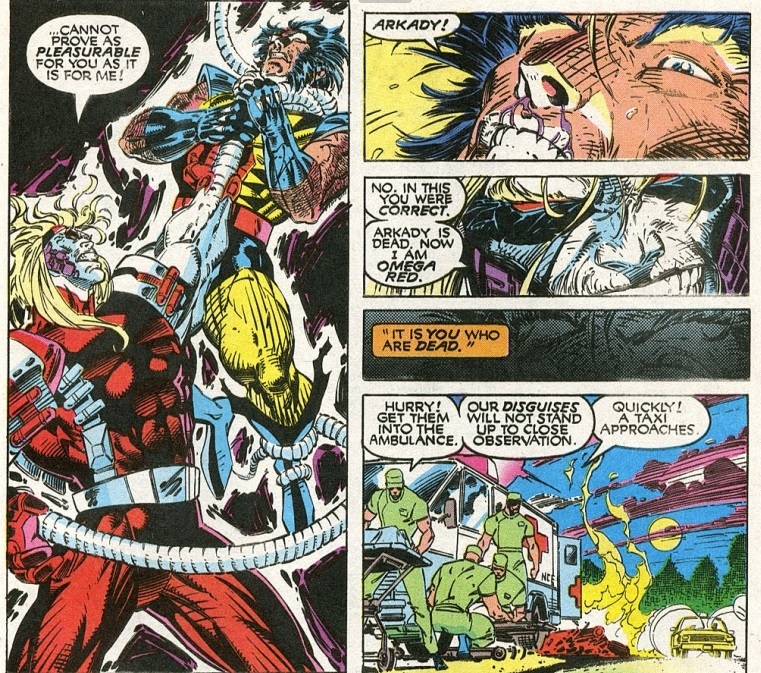 Wolverine recognizes the scent as Omega Red shows himself and ensnares him. With that close of contact, the death spores become potent enough to knock Wolverine out as well. The Hand disguise themselves as first responders and drive away with the defeated X-Men. 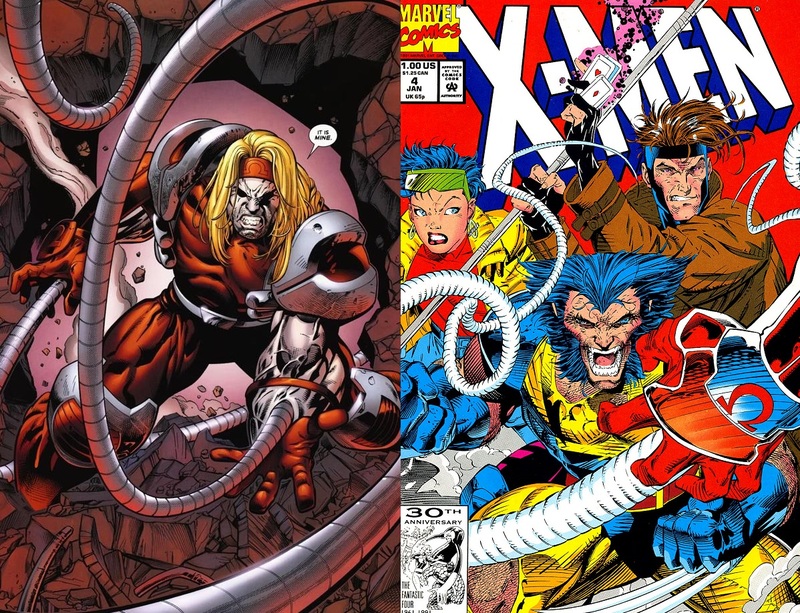 Omega Red had the benefit of being created by two amazing artists, Jim Lee and John Byrne. While he has tangled with several superheroes beyond the X-Men, he is definitely more of a powerful adversary designed for Wolverine. His death spores keep Wolverine’s healing factor on the ropes while his tentacles and strength are formidable enough. He has shown himself powerful enough on several occasions to be able to take on whole teams by himself, the X-Men here and Generation X soon later. 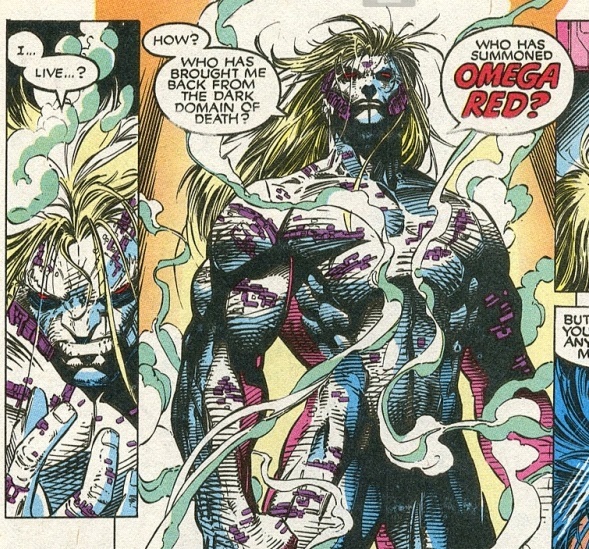 Omega Red sadly has found himself in the unfortunate situation of being dead after being killed by Wolverine. However, a character so closely linked to death, considering his powers, was not made to RIP for long and hopefully we will see him rise from the grave before not to long to cause Wolverine and the X-Men even more headaches.